Farhat Ishtiaq is the most read Urdu language female writer in Pakistan. She has now become one of the most popular digest writers all time. Starting from writing stories for Khawateen hallmarked her career. Among all, she has been endeavoring to bring changes in the society through her writings. Farhat Ishtiaq is considered as the notable novelist, screenwriter, and author. Most of her works include the socio-cultural & reforming novels which bring awareness among the readers. In this article, we will discuss her success, early life, and the road to her fame. She was born on 23 June 198o in Karachi, Pakistan. There is not enough information about her family background but, she showed a great move towards her success all time. She completed her Bachelor’s degree from NED University of Engineering and Technology, Karachi. Initially, Farhat Ishtiaq began her writing career in 2004. She took a topic to show off the social odds through her writings. After choosing literature, she quit Civil Engineering job and found her fate in writing books and novels. To write about Pakistan’s society and culture was her dream. She highlighted every aspect prevailing in our culture. In her novels, she tells different shades of life including them as Hate, selfishness, immorality, deceit, fraud, child-labor, honor-killing, and hypocrisy. By writing Humsafar was a big moment which cherished her life. By following Humsafar, she wrote Mata e Jaan Hai Tu which was another landmark to her career. After that, she penned some blockbuster novel containing Diyar e Dil, Yaqeen Ka Safar, Wo Jo Qarz Rakhtay Thay Jaan Par, and Bin Roye Ansoo. Farhat Ishtiaq has social media site which is giving her edge to fame. So far as Farhat Ishtiaq is concerned, she fetches the attention of young Urdu readers including girls and women. 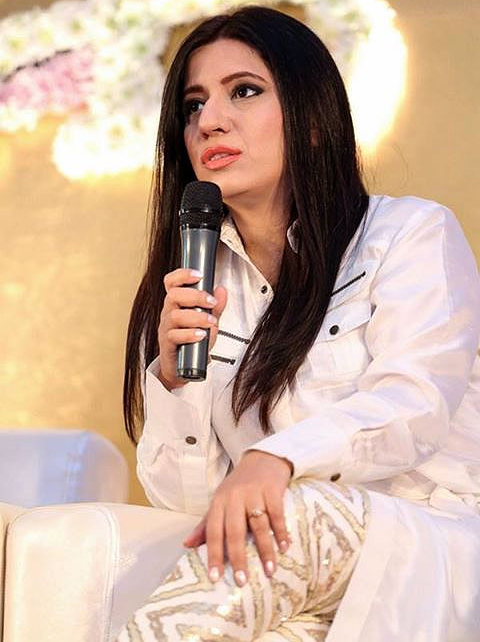 She penned two blockbuster script Bin Roye Ansoo and the ongoing famous Parwaz Hai Junoon. Subsequently, every Urdu digest writer has fallen in love with this versatile novelist. In fact, Farhat Ishtiaq is the deliberate writer of broad mind. She studied abroad and observed everything closely. The most important part of her success is socio-cultural and reforming stories. Currently, Farhat Ishtiaq wrote the movie script Parwaz Hai Junoon. She is working as the social reformer in the society. Farhat Ishtiaq is still young. She is single and thinks with different ideology about married life. So, the readers who love Farhat Ishtiaq must share this article on social media Facebook, Twitter, Pinterest, etc. Farhat Ishtiaq is an established novelist who has following huge fans all over the world. We hope our valued fans will like her works. You may also read about Qurratulain Haider’s Biography & Anwar Maqsood Literary Works.